"I am a historian of 19th-20th century Latin America with a focus on race and revolution in Cuba. My research and teaching interests sit at the intersection of Latin American history and Africana Studies and I have worked throughout my career to merge the two fields by focusing on Afro-Latin American and Caribbean history, politics, and culture. 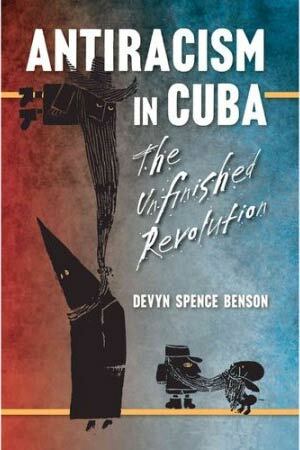 "Devyn Spence Benson places cultural artifacts, individuals, and policies in carefully reconstructed contexts full of promise, opportunities, and contradictions--and sensitively locates the continuing limitations of the Cuban revolution's approach to racial equality, nation building, and racial integration. Also one of the first studies to include Afro-Cuban exiles in the history of race in postrevolutionary Cuba." "Insightful and impressively researched, this is a rare, archivally based study of Cuban racial politics in the post-1959 era. It has contemporary resonance because it provides a badly needed historical context for the ongoing struggle for racial equality in revolutionary Cuba. Devyn Spence Benson pushes beyond the 'raceless' rhetoric of the Castro government to find glimpses of the ways Afro-Cubans subtly challenge attempts to silence their aspirations for racial equality." Online Roundtable: Devyn Spence Benson’s Antiracism in Cuba 11/1/2017 Black Perspectives: "Black Perspectives, the blog of the African American Intellectual History Society (AAIHS), is hosting an online roundtable on Devyn Spence Benson’s Antiracism in Cuba: The Unfinished Revolution (University of North Carolina Press, 2016). The roundtable begins on Monday, November 6, 2017, and concludes on Saturday, November 11, 2017. The roundtable will feature responses from Yesenia Barragan (Dartmouth College); Aisha K. Finch (UCLA); Nancy Raquel Mirabal (University of Maryland); Melina Pappademos (University of Connecticut Storrs); and Sandy Placido (Oberlin College). On the final day, Devyn Spence Benson (Davidson College) will offer concluding remarks." Fears of Black Political Activism in Cuba and Beyond, 1912–2017 6/15/2017 The Weekly Challenger: By Devyn Spence Benson - "When I arrived in Havana on April 6, 2013, a number of people I talked to (all well-educated revolutionaries) immediately compared Zurbano’s public critique to the formation of the PIC in 1908. Incredibly, these Cubans suggested that Zurbano’s article meant that he wanted to start his own black political party! That was not and is still not the case, but repeatedly linking Zurbano to the PIC illustrates how many Cubans still fear that any critique of the revolution by a black Cuban is a radical position that threatens national unity and is thus a cause for alarm." Representations of Black Women in Cuba 5/4/2017 Black Perspectives: By Devyn Spence Benson - "Previously, I’ve written about an Afro-Cubana organization in Havana composed of black and mulata women. This month I want to offer the documentaries of award-winning Cuban filmmaker Gloria Rolando, one of the attendees at the Harvard conference last month, as a counter-discourse to the ways that black women’s bodies are imagined and represented in and by Cuba’s tourist industry." Conflicting Legacies of Antiracism in Cuba 3/14/2017 NACLA: "A new generation of Afro-Cubans confronts the paradoxical coexistence of racism, antiracism, and discourses of “racelessness” within the Cuban revolution." On Teaching Afro-Cubana Feminisms 3/4/2017 Black Perspectives: By Devyn Spence Benson - "Despite this public silence, Afro-Cubanas (Afro-Cuban women) have consistently challenged narratives of national exclusion and today they are leading the way in antiracist and antisexist movements in Cuba. For my second semester at Davidson College, I decided to teach a new course about this unknown facet of Cuban history. Titled “Afro-Cubana Feminisms,” this class is cross-listed with Africana, Latin American, and Gender and Sexuality Studies. Because my course is designated as a major thinkers course, instead of being a survey of a black and mulata women in Cuba, it focuses on four women. But what are Afro-Cubana feminisms? And how do you study them in a class where all of the texts have to be in English?" Cuba, Antiracism, and a New Revolution 1/2/2017 Black Perspectives, AAIHS: by Devyn Spence Benson - "Many of the accolades came from people of African descent, including the second post-apartheid president of South Africa Thabo Mbeki, African American activist Bill Fletcher, Jr., and Afro-Cuban journalist Pedro Pérez Sarduy, whereas the images of celebrating Cuban Americans tended to show lighter-skinned or white Cubans dancing in the streets, waving Cuban flags, and urging “Fidel, tyrant, take your brother too!” While these diverging sentiments did not always divide evenly into global black support versus white exiles’ euphoria—there were many of all colors on either or both sides of this divide—the general polarization between those who saw Fidel as a champion of black and brown rights (Chicanos also applauded the revolutionary icon’s anti-imperialist stance) and those who saw him as an evil and corrupt dictator appeared to be racialized." Puerto Ricans, African Americans, and the Pursuit of Racial Justice: An Interview with Sonia Lee 12/3/2016 AAIHS: Devyn Benson interviews Sonia Lee - "With the recent election of Donald Trump and the very public hate speech and violence against people of color that accompanied his campaign, it seems fitting to revisit some of the best works on black and brown community organizing against white supremacy. This month I had the pleasure of interviewing Sonia Lee about her book Building a Latino Civil Rights Movement: Puerto Ricans, African Americans, and the Pursuit of Racial Justice (Chapel Hill: The University of North Carolina Press, 2014). Professor Lee’s work analyzes Puerto Rican and African American collaborations from the 1950s through the 1970s. " Talkin’ with author Devyn Benson about ‘Antiracism in Cuba: The Unfinished Revolution’ 8/2/2016 SF Bay View: “Antiracism in Cuba: The Unfinished Revolution” by author and professor Devyn Benson is an impressive study on the history of racism and Black organizing in Cuba prior to the 1959 revolution and right after it. This book is very important because there are very few that I have come across in the U.S. that document Black history on the island as well as exchanges between the Afro-Cuban and U.S. Black communities." Africa Today – July 4, 2016 7/4/2016 KPFA: "Africa Today July 4 2016 Interview with Dr. Devyn Benson on her book-"Anti Racism in Cuba-the Unfinished Revolution." Dr. Benson highlights the issues of race and anti-racism during the early years of the Cuba Revolution 1959-1962." World Policy On Air, Ep. 67: "Not Blacks But Citizens" 5/13/2016 World Policy: "Shortly after the 1959 Cuban Revolution, the government took steps to combat racism in the island nation. On today’s episode of World Policy On Air, Devyn Spence Benson, assistant professor of history and African and African-American studies at Louisiana State University, discusses the country's mixed record on race policies and anti-black discrimination as documented in her new book, Antiracism in Cuba: The Unfinished Revolution." What Obama’s Trip to Havana Revealed about Race in Cuba and the U.S. 5/5/2016 AAIHS: "The symbolism of a black U.S. president eating at one of Havana’s few black-owned restaurants and talking about Afro-Cuban access to the new economy should be celebrated. Missed, though, was the opportunity to reestablish coalitions and activism between people of African descent in both countries. Instead, debates about which country had been most successful in battling racism abounded. Similar to previous interactions between Cuba and the United States, this event showed how both countries invoke celebratory histories that reinforce national racial mythologies, rather than the controversial present. During his speech in Havana’s Gran Teatro, President Obama momentarily departed from the rhetoric of U.S. exceptionalism to acknowledge our shared history of racial oppression. “Cuba, like the United States, was built in part by slaves brought here from Africa” and that “we both have more work to do to promote equality in our own countries [and] to reduce discrimination based on race,” Obama said. Because U.S. diplomats rarely publicize aspects of the country’s continued racial inequity, this part of Obama’s speech was refreshing and a humbling gesture to his Cuban hosts." Will Afro-Cubans & African-Americans Be Able To Benefit From Improved U.S./Cuban Relations? 3/21/2016 News One: "During a special simulcast with the Tom Joyner Morning Show and TV One’s NewsOne Now, Roland Martin spoke with Devyn Spence Benson, author of Antiracism in Cuba, and businessman Troy Nash about the importance of President Barack Obama‘s visit to Cuba and what improved U.S./Cuban relations could mean for people of color." What President Obama's Visit to Cuba Means for Cubans of African Descent 3/19/2016 Huff Post: by Devyn Spence Benson "U.S. black travelers to Cuba, like many foreigners, typically visit the island for 10 days or less, both in the 1960s and today. A week is not long enough to decode the dynamics of race and racism. Unlike the widely publicized Black Lives Matter movement, Cuban activists and scholars lack regular access to television, print news, and social media that might amplify their voices and political opinions. Therefore, visitors don't always see the ways Afro-Cubans continue to be left behind. During their short vacations, many won't notice how Afro-Cubans are discretely barred entrance into tourist hotels, or have limited access to good-paying, front-of-the-house jobs in major hotel chains." Antiracism and the Cuban Revolution: An Interview with Devyn Spence Benson 3/8/2016 AAIHS: "On one hand, you have leaders who are making antiracist declarations. They’re publicly announcing their solidarity with Afro-Cubans and African Americans and also with global antiracist and anti-colonial struggles of the 1960s. But then at the same time, you have revolutionary cartoonists drawing Afro-Cubans in the same stereotypical way that they had in the pre-revolutionary period. You see the same exaggerated features, infantile caricatures, and minstrel-like comical sketches of black people. As I discuss in my book, many of these revolutionary cartoonists had fought in the Sierra Maestra and were part of the 26th of July Movement. They were not just peons submitting drawings to the newspaper; rather, many of them were actually close to the revolutionary leadership." Talking Policy: Devyn Spence Benson on Cuba 3/4/2016 World Policy Blog: "Contemporary Afro-Cuban artists and activists are challenging the persisting racial inequalities and stereotypes on the island nation. 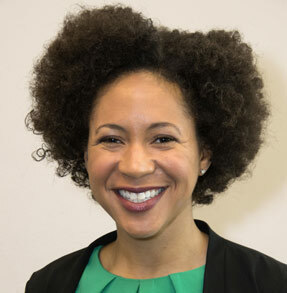 World Policy Journal spoke with Devyn Spence Benson, assistant professor of history and African and African-American Studies at Louisiana State University, about racial discrimination in Cuba, both past and present. Her article in the spring issue of World Policy Journal, “‘Not Blacks, but Citizens’: Race and Revolution in Cuba,” is adapted from her forthcoming book Antiracism in Cuba: The Unfinished Revolution (UNC Press, 2016)." Cuba After the Thaw Worsening Inequality for Afro-Cubans and Women 1/12/2016 Boston Review: by Devyn Spence Benson - "But he [Roberto Zurbano] mentioned one unexpectedly positive effect of U.S. tourism, explaining that the uptick in African American travelers had already changed the dynamics of street-level policing. Havana cops were easing off their notorious harassment of black youths out of fear they might be North American tourists. “It’s a small detail, but for us it’s important. Because the authorities’ perceptions of blackness will keep changing as African American tourism grows.” It is an example of the kind of unanticipated effects that the coming years may bring." Devyn Spence Benson - Not Blacks, But Citizens: Race and Revolution in Cuba, 1959-2015 4/7/2015 Watson Institute, Brown University: "Benson's project is a transnationally based history of the rhetoric, ideology, and lived experience of race and racism during the 1959 Cuban revolution and the early 1960s. Benson's manuscript tackles the question of how ideas about racial difference, racist stereotypes, and racially-discriminatory practices persist, survive, and reproduce themselves despite significant state efforts to generate social and racial equality. How can racism and equality exist together? Benson explores these questions using the case study of the 1959 Cuban revolution and Fidel Castro’s public campaign against discrimination in the 1960s. Pushing past existing scholarship that has established the persistence of racism in on the island, especially after the Special period crisis of the 1990s revealed sharp inequalities in contemporary Cuba, Benson shows that not only were early revolutionary programs ineffective in eliminating racism, but that they frequently negated their own anti-racist efforts by reproducing traditional racist images and idioms, especially in public representations of blacks in revolutionary propaganda, cartoons, and educational materials."